Atlantic Salmon has a silvery body with some dark crosses and spots o its head, body, and fins. The head is relatively small, about one-fifth of the body length. Salmon that live in the sea or a large lake becomes silvery. In Norway, only Atlantic salmon are formed. Norway has a 40-year history in farming salmon and over the years, it has developed a state-of-the-art technology for the feeding process. Over the last 2 decades, the sustained and rapid progress in farmed salmon production around the world has tripled the world supply of salmon. In that time, the production of farmed salmon has multiplied approximately 40 times. Only fish with good genes from rivers high in quality salmon were chosen to be farm bred. These rivers are cold all year round because of the inflow of melted water from glaciers and snow. Norway has been a pioneer in the development of salmon farming and has consistently maintained its position as the world's leading supplier of Atlantic salmon. 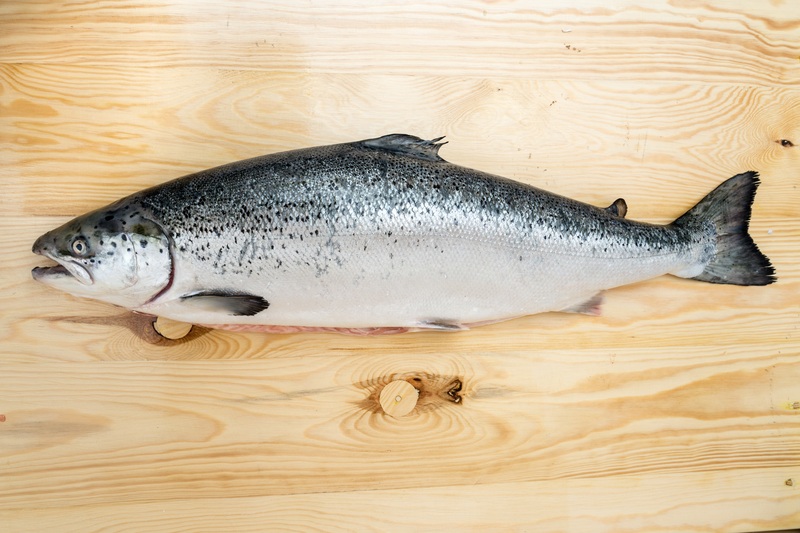 Today, salmon accounts for about 50% of the total export value of Norwegian fish products. 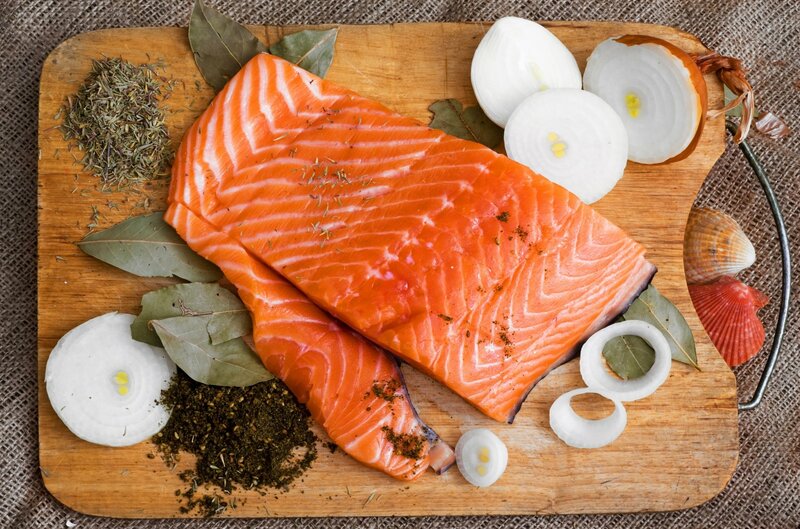 Salmon is typically available in different forms or cuts:Whole. The salmon is cleaned inside and presented with or without the head. Fillet. The sides of the salmon are removed, i.e. ribs and backbone, producing two long portions of meat. Fillets can be also be purchased boneless or can be with or without skin. Portions. A fillet is cut into a number of smaller portions. Portions can be also purchased boneless. Steaks. The entire salmon (without the head or tail) is cut witdh ways, producing portions of around one inch in thickness. These cross-section slices of salmon still have their skin and bones intact, and are ready to cook.